Virgin Care provide Adult Community Services in Dartford, Gravesham, Swanley and Swale areas. We provide a wide range of services including community nursing and occupational therapy among others. We began providing these services in September 2016. We provide similar services across the country, where we’ve invested significantly in bringing services together and improving the experience for the people who use our services. In North Kent we’re bringing services from two providers together, improving patients’ experiences of the services, investing in technology which will make the services more efficient and reducing the use of agency staffing. If you’re interested in helping us develop the services you can join our Citizens Panel. Our innovative approach to involving the community doesn’t mean attending lots of meetings, and you can chose from three levels of engagement – informed, asked and involved. Improving your experience – we’re always looking to improve your experience, whether that means working with GPs who refer into our services to improve this process so we see you quicker or providing unexpected magic touches. Listening to you – we ask everyone using our services to feedback on their experience so we can find out what we’re doing well and what we need to do better. We have a network of clinical experts who share examples of best practice and learn together. 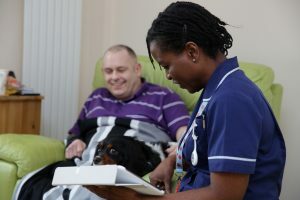 Care in the most appropriate place – we want to provide care in the best place for you, which is often in your own home. Safe and consistent – we have to meet rigorous Care Quality Commission (CQC) standards for our services and we run our own internal inspections and have robust governance and reporting systems to monitor how all of our services are doing, so you can be confident that your care, safety and privacy are our absolute priorities.